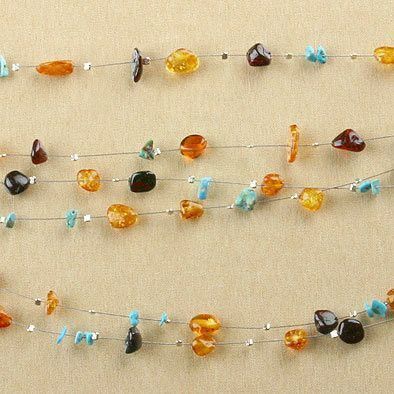 This unique and very rare amber and turquoise necklace is a wonderful display of modern southwest design jewelry. 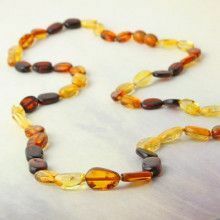 It is comprised of a series of natural dark and light honey amber beads strung on three strands of sterling silver. Turquoise beads and sterling silver separators complete the look. The stones measure between 4mm and 10mm long. 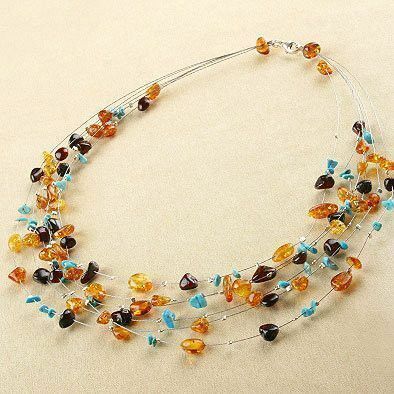 This majestic necklace would make the perfect gift for anyone.